Can I just tell you, I am riding on a cloud right now! My Spartans just made it to the Final Four!!! Woo Hoo!! Okay, had to show some love to my boys. And now on to the "real" content of this puffy post. 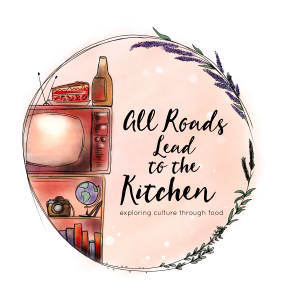 Karen at DomesticMuse is hosting a challenge called Everything Old is New Again; I love the idea of this challenge! 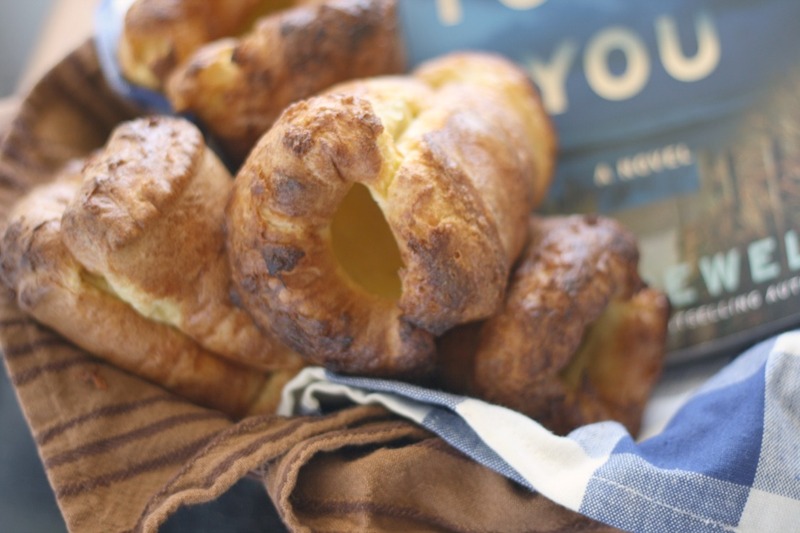 My grandma has so many recipes tucked into her recipe box and I'm always asking her how do you make such-n-such, so this is a great opportunity to get down & dirty with some vintage recipes. I actually chose to update a recipe that grandma makes for almost every holiday. Green Salad or Lime Salad or Green Jello Salad are all names that it answers to. Truth...I've never really liked it. Everyone else seems to, though. I was inspired a while back by a recipe Joy the Baker posted. She used a jello salad much like my grandmas and turned it into a pie. I thought...I HAVE to try that with my grandma's Green Salad. I bookmarked the recipe and have thought on it ever since. When Karen's challenge surfaced, I figured it'd be the perfect time to give it a go. I did decide to update the recipe a bit...change it to something I would actually like to eat (sorry Gram). Have you ever seen the movie Waitress? Love it! In a nutshell, Kerry Russell's character is a pie maker...all kinds of pies for all kinds of reasons. 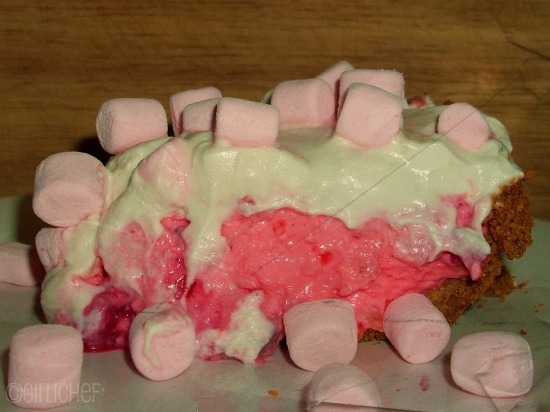 One of the pies she makes is called Mermaid Marshmallow Pie...this is another inspiration for my creation. I'm also gonna do double-duty here and make this my entry for this month's You Want Pies With That? The theme being Lifestyles of the Rich and Famous...you create and bake a pie with a rich & famous person in mind. Picking someone to attribute this to, taking the Everything Old is New Again theme into consideration as well...it's going to be....ah, I'll tell you at the end of the post! I want you to see it first! Dissolve jello in hot water and pineapple juice. Let cool until slightly set. Add cream cheese and fold in whipped cream, cherries, nuts and pineapple. Pour into mold and let set. 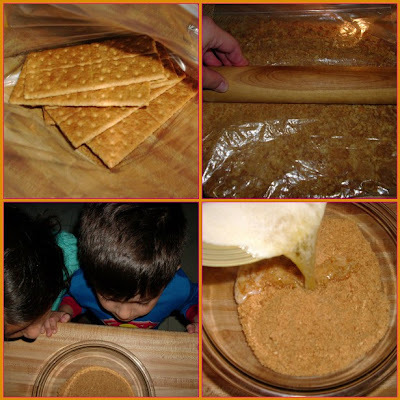 Place crackers in a large zipper bag. Crush to fine crumbs. Place in bowl and mix w/ brown sugar. Have your quality control people in place to check the texture of the graham crackers (um, that would be the munchkins). Drizzle in butter and mix. Press into pie pan. Bake in preheated 325°F oven for 10-15 minutes, or until golden. Let cool completely. Dissolve jello in hot water. Stir in pineapple juice. Put in refrigerator until slightly set, about 1-1 1/2 hrs. Stir in cream cheese (I used stick blender). Fold in whipped cream. Add raspberries, nuts and crushed pineapple. Mix all together gently. Pour into prepared graham cracker shell. Put in refrigerator until set, about one more hour. Place all in bowl and whip until stiff peaks form. Blop it onto the chilled pie and spread gently. 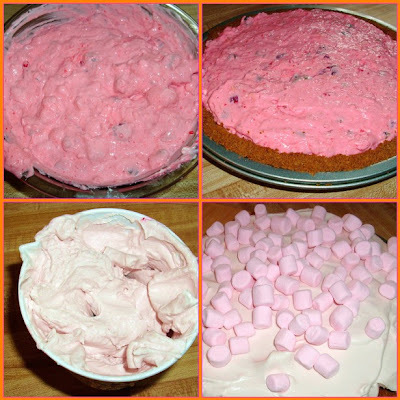 Top with pink mini-marshmallows. Serve. Will keep wrapped in foil for a day or two...not sure, it hasn't been that long yet. This was such a fun challenge...well, two fun challenges! Are you wondering which rich & famous person I'm dedicating this pie to? It's all pink and fluffy and girly, so it's got to be Anna Nicole Smith. I wasn't really a big fan of hers, but I know she idolized Marilyn Monroe (old) and went to Hollywood to remake herself (new), just as Norma Jean did. Anna Nicole loved pink and was often "riding on a cloud". Hers is a tragic story...sad, I think. But wouldn't she have loved this pie? Jello .. hey I was going to do that:).. Great idea.. great minds think alike.. Sounds fantastic..good luck with the contest! so pink and yummy and delicious! i love it!! You did a great job reinventing it! Ever since I found out what gelatin is made of I haven't eaten it, I never really liked it. But if you put this pie in front of me I wouldn't hesitate. It is so pretty and raspberries make it real yummy. I like how you tied it in with Anna Nicole. I voted for all of your pictures. And I loved Waitress too! Your kids look cute! How many do you have? Oooh, how pretty, I'm loving the pink! I love anything with Jello! This is awesome! Congrats on the March Madness. I'm a UCLA Bruin and while my team is out, I'm always a huge fan of the madness. ...Donna- yes, great minds ;) The more jello the merrier! Good luck right back at ya. ...Reeni- I know...I just try to pretend I don't, lol. thx for voting for my pix! I totally want to have a "waitress" party! I have 3 kids! ...librarian- thanks! I love March Madness 2...but extra right now! 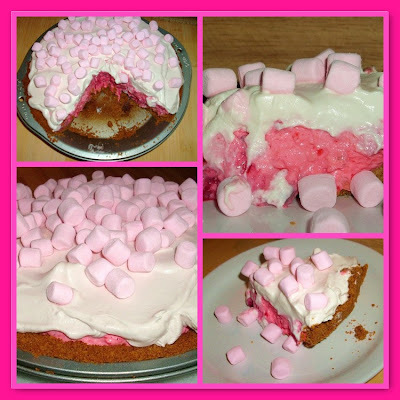 What a pretty pink cloud pie - I will absolutely have to make it for my daughter! Love it! Holy Moley.... that looks freakin' steller man... I love when people do that w/ recipes..Hey I made grams from scratch this weekend...Super easy! Thanks for alwat visiting my blog and leaving such great comments about be.. I make my kids read them outloud so I can imagine it's them sayin it!! HAHAHAHA! ...Sara & 5*- yes, def. 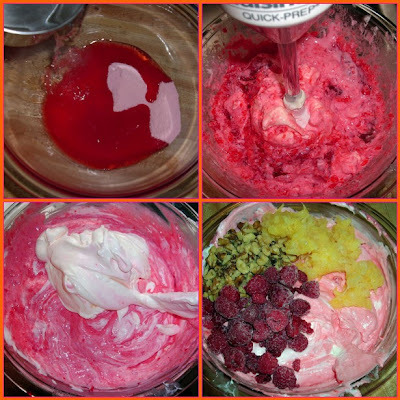 worth trying, esp if u love jello salad or mallows! ...SugaMama- ha ha ha, that's awesome! And really, homemade grahams? I'd luv that recipe! Wow does that look mouthwatering or what??????? 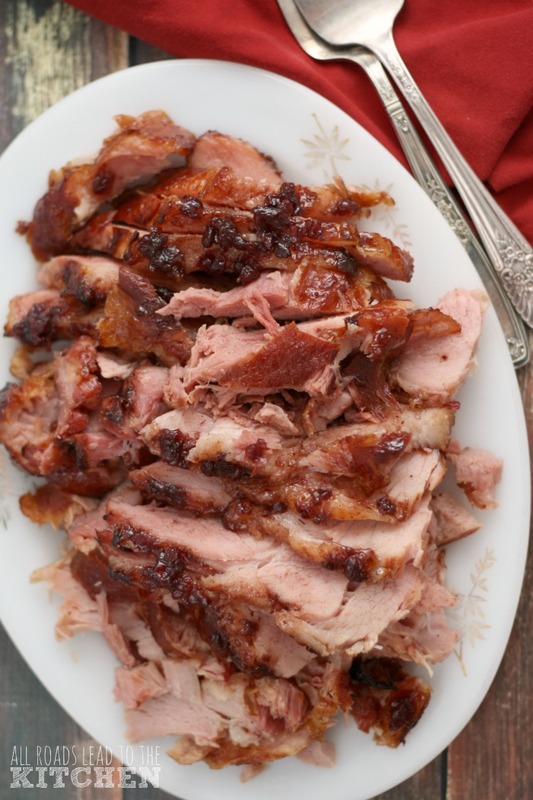 I've got to stop reading all of these recipe posts.....it ain't helping my "thigh issue", lol. WOW! 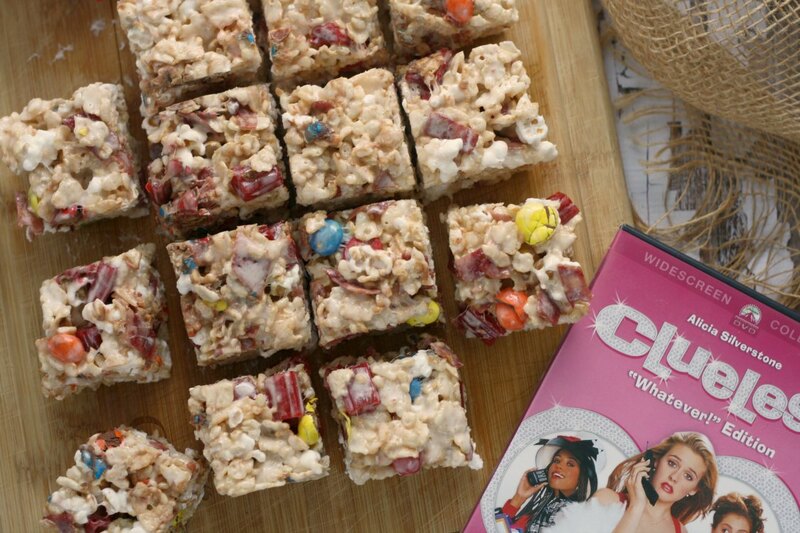 this looks SO fun to make AND eat! yum! aah...I remember the jell-o days, where we had all sorts of jell-o recipes! where did u find the pink marshmallows? WOW!! May I have some, please? You are going to win.. 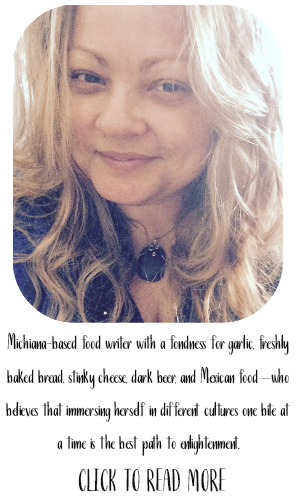 I voted for you on Foodie Views!! This is so cute and I love the color!! I have never made any type of jello salad. One year my grandmother decided to bring it to our thanksgiving family feast. She was really tired so I thought I'd help by getting the jello made for her so it could set. She had a lot of fun telling me that you don't actually make the jello and "now I have to go buy more"!! Ah, memories!! LOL!!! ...reggie girl- my thighs 2 girl! ...burp & slurp- I picked them out of one of those multi-colored bags. ...Gin- :D yay...thanks! you da best! ...ChefBliss- great story! LOL! love it. What a pretty, pretty pie! Looks so light and sweet... and congratulations to your Spartans! Very creative... and pink! Good tribute to Anna Nicole. I love what you did. I am hopeless with jello - my kids have "jello" stories from my attempts. But you just made a work of art! Looks wonderful and although I am jello-challenged I have to give it a whirl. ...jesse- thanks so much! Go State! ...Natashya- thanks to you, too...I thought it was pretty fitting to AN! ...Claudia- :) I hope you do, it was really pretty simple. Let me know how it comes out if you try it! Clever girl! It sure is pink, but I'll bet it's tasty. I just may give this a try. How pink, fluffy and fun! It reminds me of a salad my Aunt made. Great job making it into a pie! I just love the pink fluffiness of this! 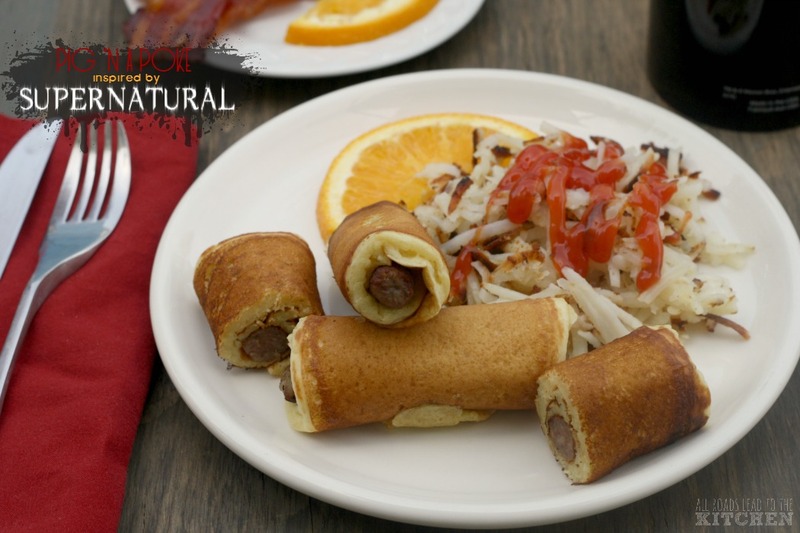 It's great that you've resurrected and reinvented such a classic and beloved dish. And the recipe box you've pictured looks so much like my husband's grandmother's recipe box that I know have. I'll have to look through it, too and see if I can find some gems. Oooh yay! I just saw that Domestic Muse extended the challenge because I wanted to do it! 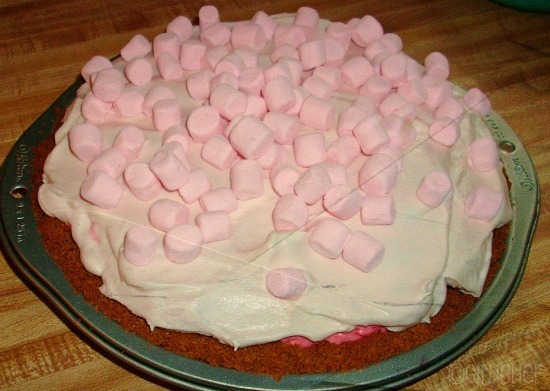 And I loved the movie Waitress and your version of the Marshmallow Pie looks, well, both Old fashioned disgusting and yummy intriguing at the same time! Just like so many of those old recipes of our youth! Love it!I love the pink! What a pretty and yummy pie. Jello is always a winner in my book!